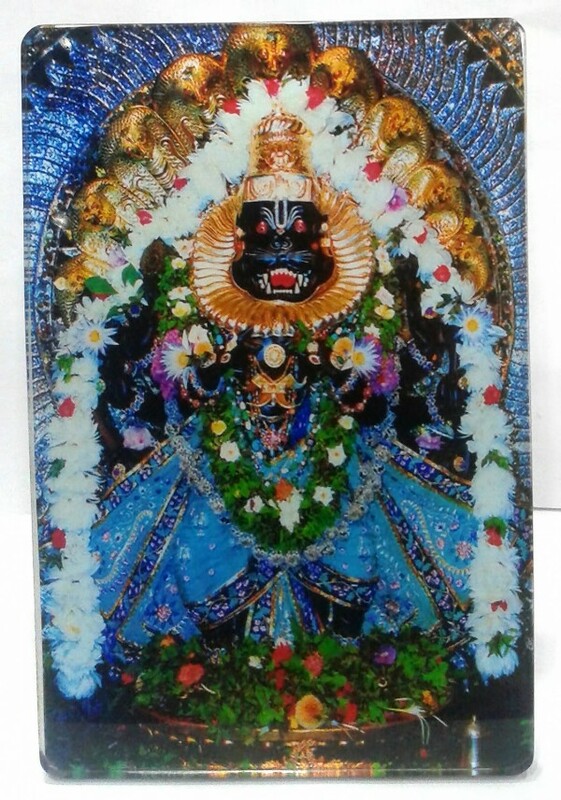 These quality Acrylic Narasimha Stands are approx 1.7" x 2.5" and large size is 4" x 6". You can put one on an altar in a temple or home. 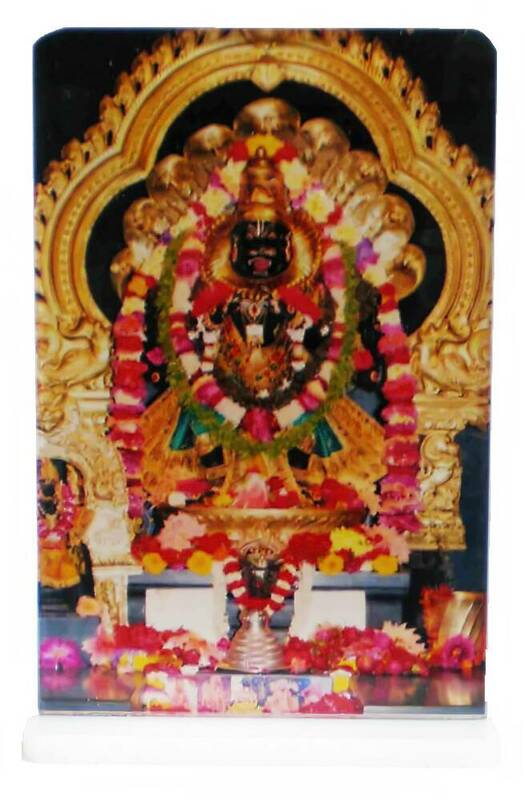 You can also get one for your workspace desk to remind you of Sri Nrsimha throughout the day.